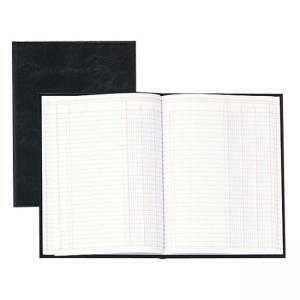 Bound columnar book contains 80 ruled, unnumbered pages with 30 lines per page to store your information. Design features a black-grained stiff cover with gold foil stamp. Premium white acid-free writing paper is printed in blue and red inks.